TThe Western Cape extends from the Cape of Good Hope 400km north and 500km east. 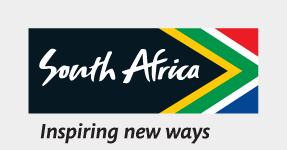 It is South Africa’s fourth-largest province and bounded by the Northern and Eastern Cape. It is best known for Cape Town, South Africa’s ‘Mother City’, a popular travel destination with its iconic Table Mountain and beautiful beaches, among many other attractions. TThe Western Cape is home to the West Coast National Park, famous for birds and spring flowers (in late August and September) and the Cederberg, an area of contrast where 71 000ha of rugged mountains are offset in spring by carpets of yellow, orange, blue and purple flowers. Along the province's eastern coastline lies the picturesque Garden Route, which stretches several hundred kilometres from Cape Town to Port Elizabeth in the Eastern Cape. This is one of the country's most popular routes. The wine-growing areas of Stellenbosch, Paarl, Wellington, Franschhoek, Ceres, Worcester, Bonnievale and Robertson are popular attractions, where a Mediterranean climate favours the production of superb wines. The province is also renowned for its fresh seafood, from line fish to lobster, snoek and hake. Cape Town International Airport is the second busiest in the country, after OR Tambo International Airport in Johannesburg. From the waterfront hotels of Cape Town to campsites in national parks, guest houses, B&Bs and luxury apartments, a variety of accommodation options are available to suit all tastes. Table Mountain is Cape Town’s most famous landmark. A cable car trip to the top of the mountain is the perfect way to orientate yourself on your first trip to the city. On a clear day at the top you should be able to see Robben Island in Table Bay, the place where former president Nelson Mandela was once held prisoner. Many visitors visit both these attractions in a day. South Africa’s second-largest city (after Johannesburg) and very popular with international travellers, Cape Town is renowned for its scenic beauty. With an international airport and busy port, the city is a bustling metropolitan area.